Tony serves as the Director of Student Conduct & Deputy Title IX Coordinator. Tony believes in engaging students by creating an educational atmosphere that facilitates their academic and personal goals. He believes this leads to a healthy, safe, productive, and fun college experience. Tony is a firm believer in “Relationship before Regulation” and “Education before Adjudication.” Tony has worked at the University of Memphis and Southern Methodist University located in Dallas, TX. 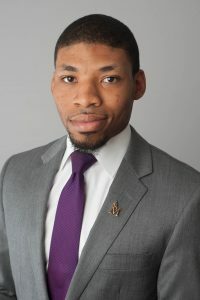 Tony is a member of Student Affairs Professionals in Higher Education (NASPA), Southern Association for College Student Affairs (SACSA), and the Association for Student Conduct Administration (ASCA). Tony’s goal is to work with students to help them bring their actions into congruence with their values.